Come out and ring in the new year at the biggest party in Toronto. 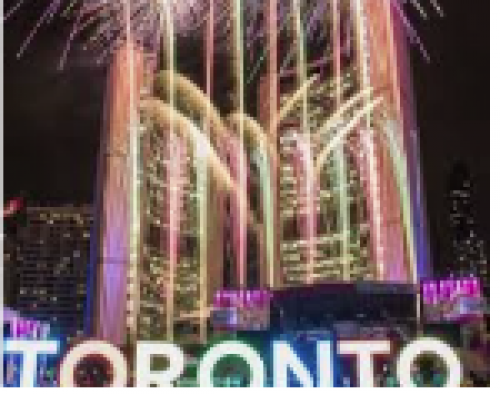 Enjoy Live Music, Skating and Midnight Fireworks all at Nathan Phillip's Square on December 31, 2018 at 8 p.m. The countdown to 2019 features an exhilarating night of entertainment with dynamic DJs, live electronic music, animations and a DJ skating party sponsored by Tim Horton’s. Ring in the new year, make those new years resolutions and cheer it one with the countdown to stunning fireworks display at midnight. Admission is FREE at this alcohol-free event. A full schedule of entertainment will soon be available.